Over the years of attending Halloween Horror Nights in Hollywood, it’s very clear that not many can fill the shoes of Michael Myers. The slow paced boogeyman etched a place in our wicked hearts with two maze iterations that left a lasting impression. 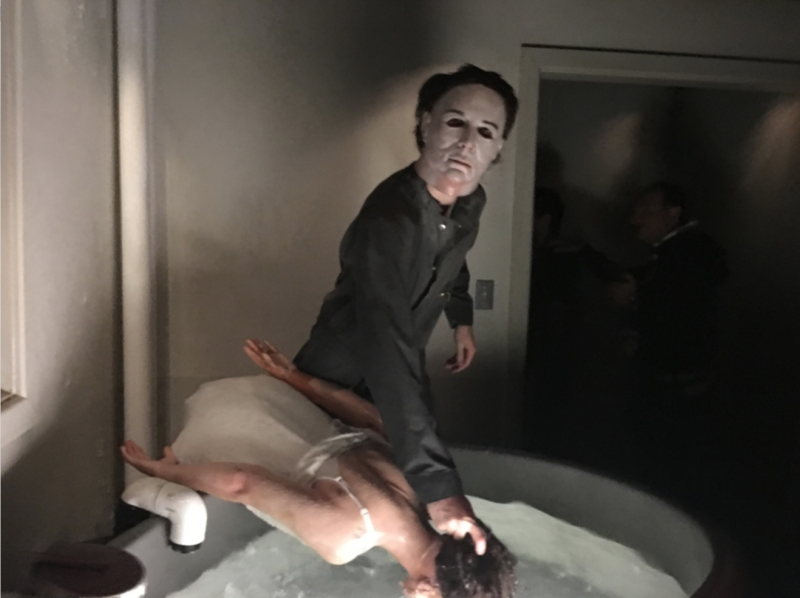 Halloween: Michael Myers Comes Homes and Halloween: Hell Comes to Haddonfield were supremely popular incarnations of the famous slasher and set a standard for film based attractions at HHN. These two mazes both ended with a surreal hyperreality representation of the idea “YOU CAN’T KILL THE BOOGEYMAN” which was brilliant! Unfortunately, we have not been able to see any Halloween maze in Orlando since we’ve only had the opportunity to attend once. But we can only image what Mike Aiello and his crew create! This year, Michael Myers returns again (skipping over Halloween 3: Season of the Witch) and heads straight for Halloween 4! 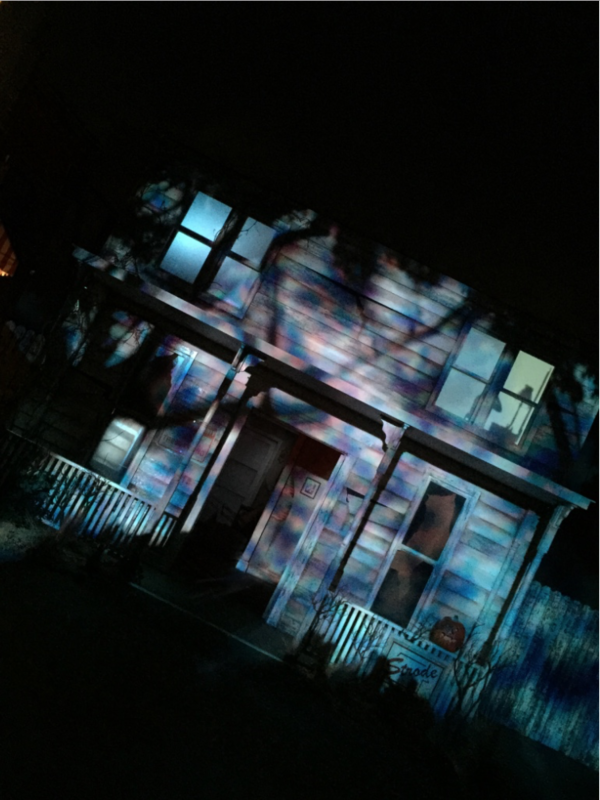 With the massive success of the previous two mazes, the stakes are high for HHN Hollywood! The excitement is already building for this years event and we cannot wait to step through the threshold of the Myers residence once more. When will we finally see Busta Rhymes in a maze at HHN? Hopefully soon! All jokes aside, below are the gruesome details surrounding this highly anticipated return of Michael Myers to Halloween Horror Nights! 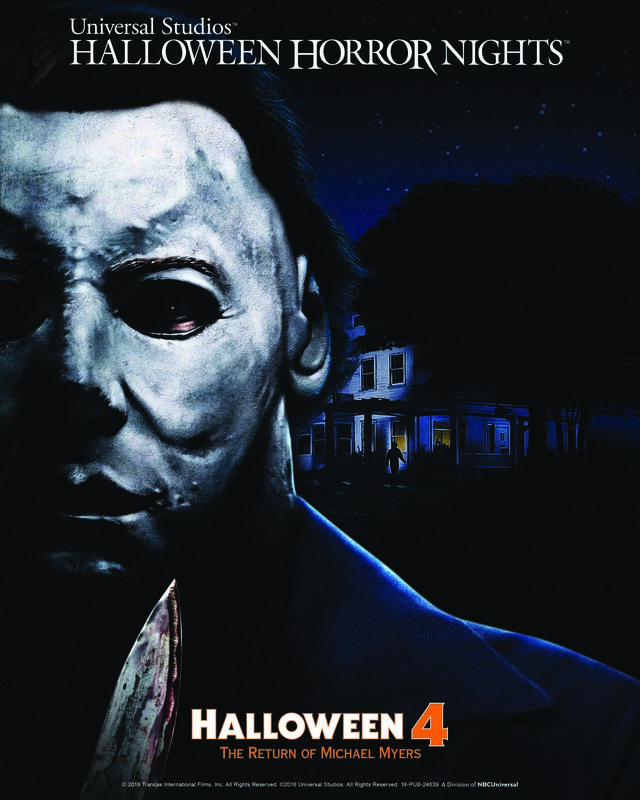 Beginning on Friday, September 14, Halloween 4: The Return of Michael Myers, from Trancas International Films, takes a stab at Universal Studios’ Halloween Horror Nights, bringing the notorious slasher to Universal Studios Hollywood and Universal Orlando Resort in all-new mazes inspired by the iconic horror film. Based on the fourth installment in the classic slasher series created by John Carpenter, the mazes will transport guests to the suburban town of Haddonfield, Illinois on Halloween night where Myers has escaped Smith’s Grove Sanitarium and is hungry for revenge. This time, he relentlessly stalks his niece Jamie as his next victim, stopping at nothing to kill her. Guests will follow Myers as he escapes the mental hospital, encounters his first victims at Penney’s Gas Station and Diner, and wreaks terror on Haddonfield, all set to Alan Howarth’s ominous score. The maze will include horrifying scares by Myers in his classic featureless white mask and navy jumpsuit, with guests dodging his bloody knife at every turn. Halloween fanatics can expect a cameo by Myer’s psychiatrist Dr. Loomis and other famous characters from the film as they try to escape the bloodbath. Additional details about Universal Studios’ Halloween Horror Nights will be revealed soon. For more information about Halloween Horror Nights at Universal Studios Hollywood and Universal Orlando Resort, visit www.HalloweenHorrorNights.com. All tickets and vacation packages are on sale now.